As we’ve worked with Azure Cosmos DB, we’ve seen that we can store data within fields and the fields of each document don’t always have to match – though we still want some organization for querying. The fields and values storage becomes useful when working with object-oriented languages as these fields can be keys that we use with values that we extract as properties. 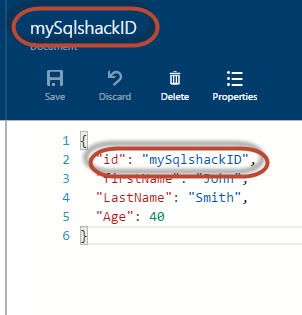 For an example, the below PowerShell line creates a JSON document in an object and we can see that we can extract the values of these keys in the JSON object. Since we will sometimes require removing documents in Azure Cosmos DB, we’ll want to be able to specify the documents for removal. In some cases, this will be as simple as specifying a field for removal, such as removing one type of workout in our temporary database we’ve created. In other delete situations, we’ll want to remove if the value of the field isn’t what we expect – such as greater than what we want. This applies to updates as well – we may want to drill into a specific value range for an update. In this tip, we’ll look at using operators with strings, numeric types and dates. In the past two years, we’ve seen an explosion in growth with document-oriented databases like Azure Cosmos DB. MongoDB – one of the major document databases – went live on the Nasdaq and attracted some attention in the past year as well. While more developers are using the document structure for some appropriate data models, less than 10 years ago, some in the industry were predicting that document databases were unnecessary and wouldn’t last because all data could be flattened to fit the SQL model. I took the opposite approach, being an early adopter of MongoDB along with continuing to use SQL databases as I saw opportunities in both SQL and NoSQL for various data structures. 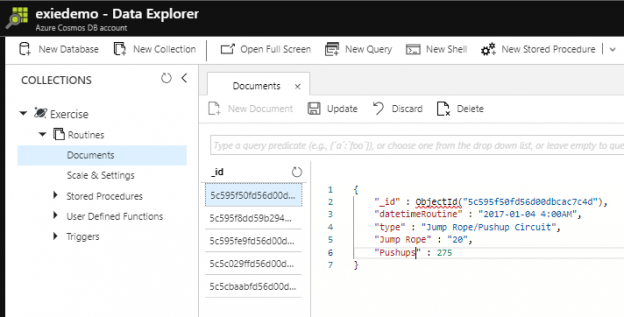 While some data do fit the SQL model and SQL will continue to exist, some data are best for document databases, like Azure Cosmos DB. In this series, we’ll be looking at the why and how of document databases. In our last chapter, we talked about Cosmos DB, which is available in Azure and explained that it is an Azure Database used to store NoSQL documents. In this new article, we will show how to create and query the database from zero. The only requirement is to have an Azure Account. If you have an Azure account, this tutorial will take you just 10 minutes (if not, you can complain in the comments section below 😉 ). 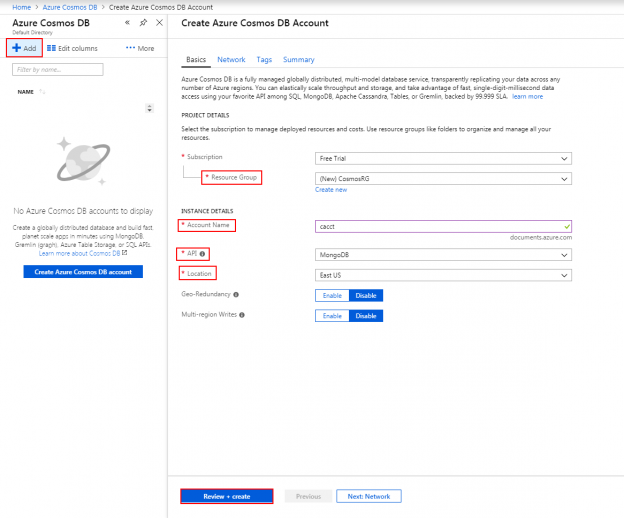 In the Azure Portal, you will find the option to install Azure Cosmos DB. So, what is Cosmos DB, exactly?